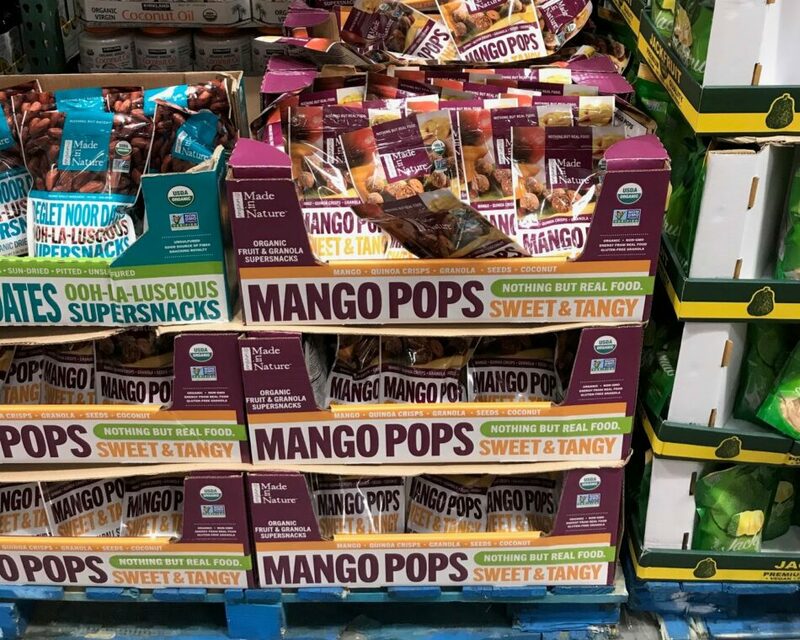 Sells for $17.99 in Costco.com grocery. Hungry? Then you better hold on tight because this awesomely organic, totally tropical treat is not for the faint of heart. We repeat: if you’re looking for a bland, boring snack, you better look elsewhere. 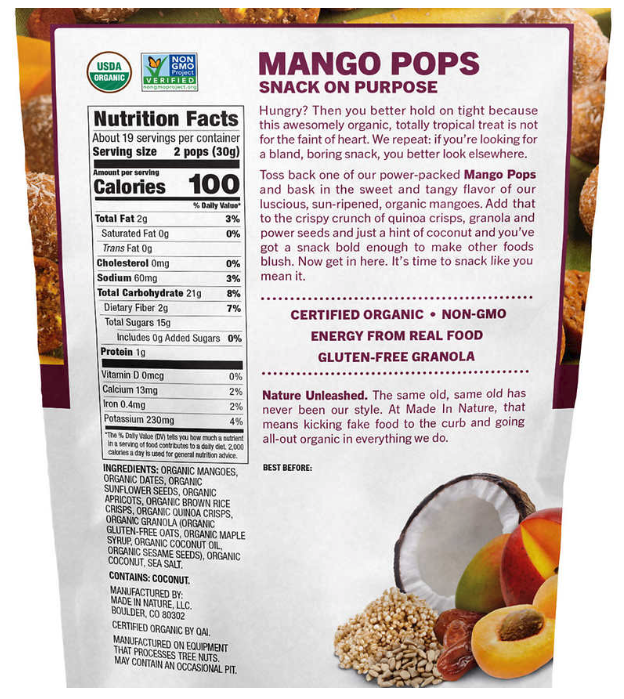 Toss back one of our power-packed Mango Pops and bask in the sweet and tangy flavor of our luscious, sun-ripened, organic mangoes. Add that to the crispy crunch of quinoa crisps, granola and power seeds and just a hint of coconut and you’ve got a snack bold enough to make other foods blush. Now get in here. It’s time to snack like you mean it.